Sometimes after long weeks of dressing business appropriate for work and “blogger-chic” ( LOL ) for events – all I want to do on the weekends is to wear something comfortable and casual. At this point I have a very established weekend wardrobe consisting of interchangeable basics with some fun pieces. To be honest I have way too many clothes and I only end up wearing the same three things every weekend : my boyfriend jeans, comfy button up or tee-shirt and my leather coat. 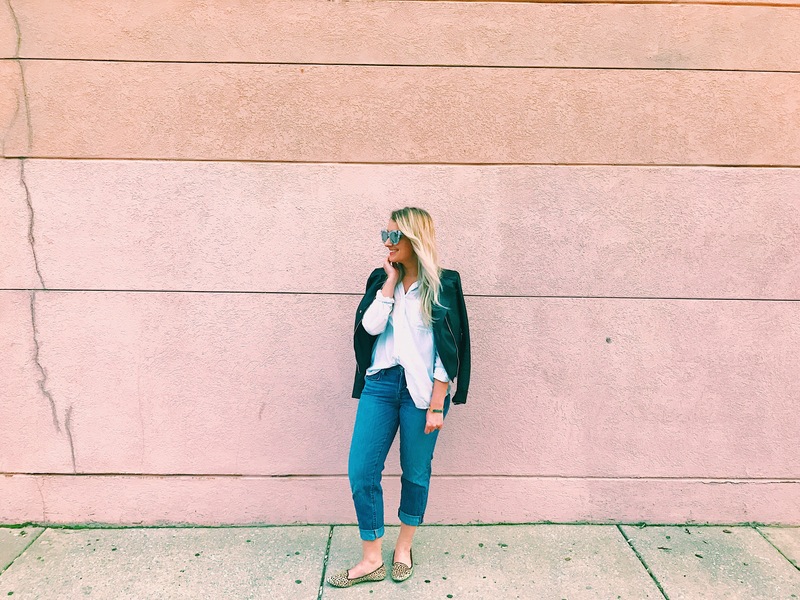 For boyfriend jeans my go-to’s are always either from Madewell or Gap. I love getting basic tops from places like Zara or Nordstrom Rack. 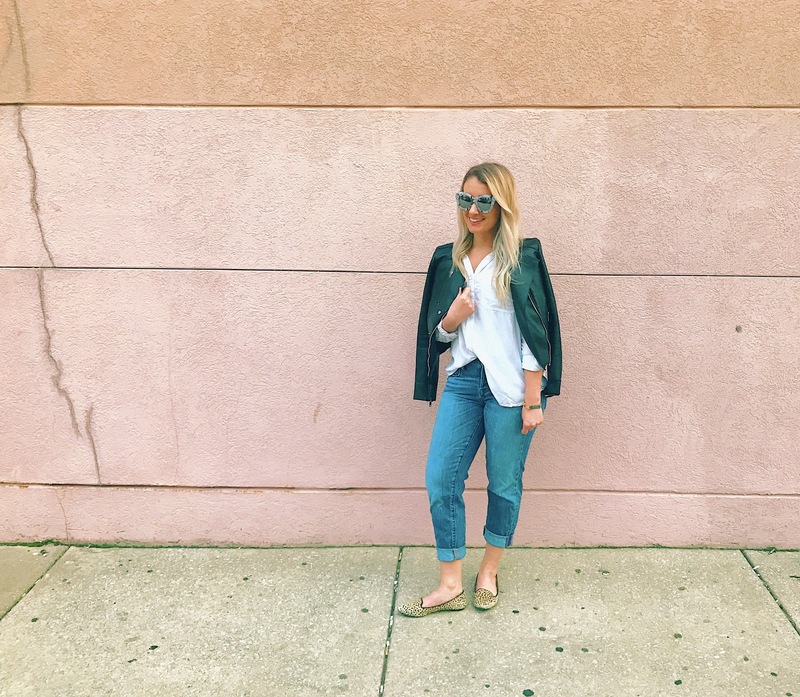 Leather Jacket – ALWAYS Zara, they are affordable and so stylish like all the time.